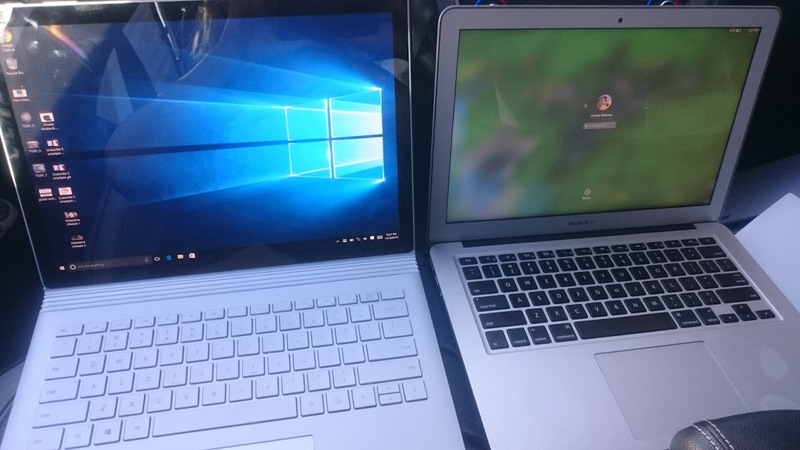 Microsoft Surface Book vs. Macbook Air: Better for Travelers? Though I was raised as a good Windows girl, my first Apple Macbook Air I got for work changed everything. Seriously, this 1.5 pound machine was a literal weight off my shoulders after lugging my 6.5-pound Sony Vaio on and off of planes in a big ugly bag. Not only that, the machine stayed cool (no burning off my legs), the battery lasted forever, and the keyboard was super responsive. Plus the machine just looks sleek. I really haven’t looked back. Until now. I had the chance to try out the Intel-powered Surface Book for the annual gift guide I put together for BBC Travel. I fell in love. The keyboard was sturdy (a complaint I have against the Surface Pro, the Book’s close cousin), the machine was fast, quiet, and responsive, and best of all, I could touch this screen. I didn’t think this would be a big deal. But let me tell you, when you want to switch tabs, click on a link, or interact online, touching the screen directly is wayyyy easier than messing with a touchpads. Touchpads have always been terrible, but this made me realize how terrible they really are. It was just intuitive to start poking around to navigate. The whole tablet also popped out with a touch of a button, and for someone like me that lugs around both my laptop and my iPad (mostly for movie watching and game playing on the plane), that would be a space saver. The screen is seriously gorgeous too, with a 3000 x 2000 display (the best on the market), and you can tell. 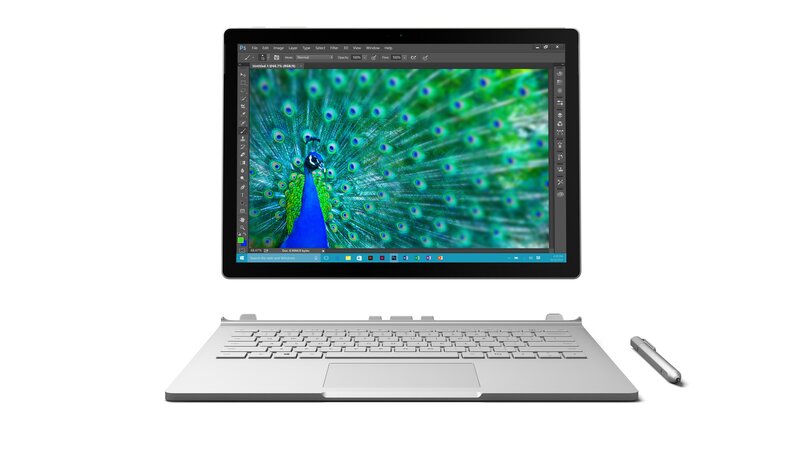 The Surface Book also comes with a pen that allows you to draw directly on the screen, and take audio notes. Maybe cool for artist types, but I found it to be a bit of a hassle. The Windows 10 UI I haven’t used yet, but found it to be straightforward. There’s more similarity than differences between different OSes these days, so I had no problem figuring things out. Weighing just slightly heavier than the Air, the only other downsides of the Book was it’s slightly boxier shape. The Air slants down to a tight and tapered close, while the Book has a more solidly square close. Really not a big deal, more of an aesthetic detail. I’d also love if the Book slanted back just a little bit more. I had to return the Book after testing, but I was really tempted to pay for it out of pocket, and would have if I didn’t already have my Air. To me, the touchscreen and take-out tablet make it the ideal choice for travelers on the road. We’ll see if Apple responds with their own touchscreen laptop.